continuing from my reading of The Cemetery Keeper’s Wife, by Maryann McFadden. 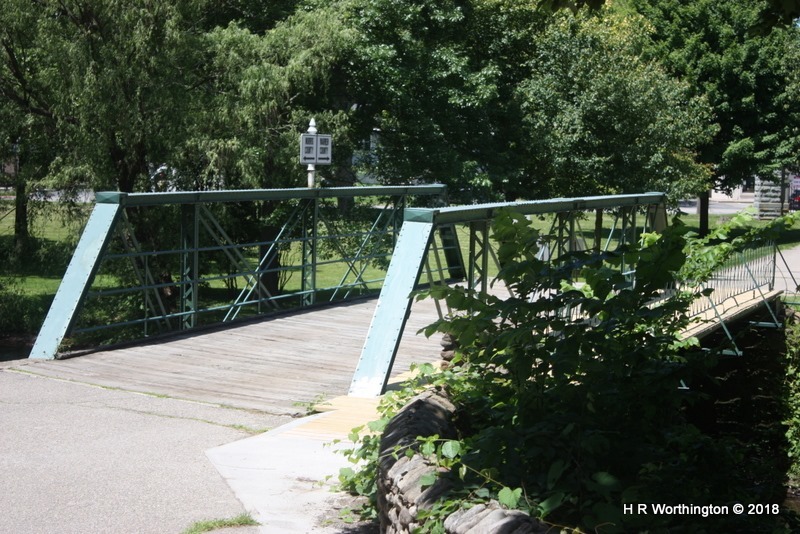 In The Cemetery Keeper’s Wife–#2 I mentioned the Musconetcong River. The Bridge was accurately described, but there is more. A very short walk or drive, you approach this bridge. Ordinary, you can see the “river” to the right, can’t see the left side yet. 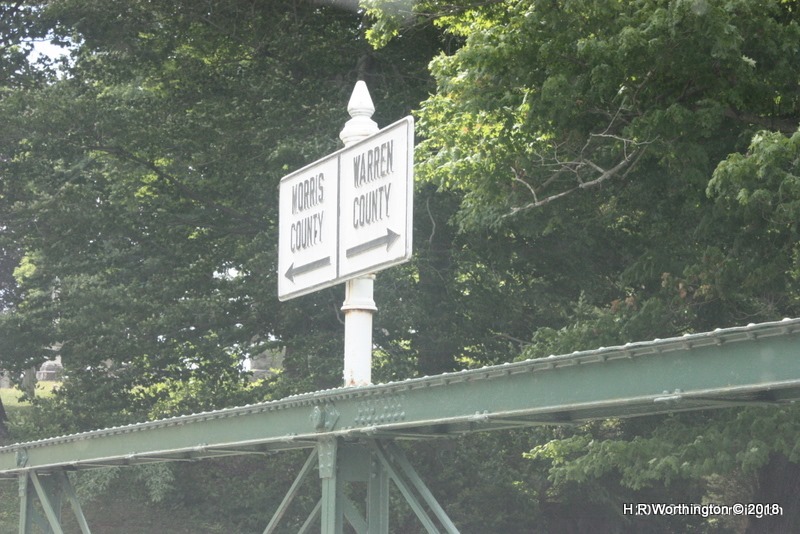 The trick to this bridge, beside the noise as you cross it, is that this picture is in Warren County, and the tree ahead is in Morris County. The drives Find-A-Grave folks crazy, especially locals. On that website, you won’t find Union Cemetery, Hackettstown, in Morris County. All of the headstones are in that county (Morris). 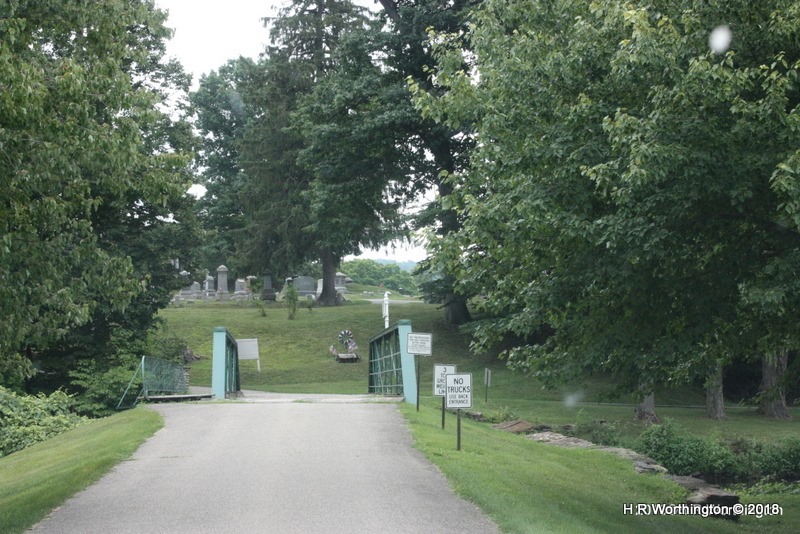 Yes, there is a back entrance, from Morris County into the Cemetery. Looking back across the bridge, back into Warren County is this. I think that the author described it well. Oh, and I have driven across it many times in a pick up truck. This entry was posted on Wednesday, June 20th, 2018 at 5:00 am and is filed under Genealogy. You can follow any responses to this entry through the RSS 2.0 feed. You can leave a response, or trackback from your own site.